The investigation industry is one that dates to 1833 where a French man by the name of Eugene Francois Vidocq founded the first private investigating agency. He, along with all the other detectives in the agency, were former convicts. He named the agency Le bureau des renseignements, The Office of Intelligence. The private agency worked on behalf of citizens and was created to do the work officers were not well-equipped for, according to Vidocq. Vidocq’s work reduced the crime rates in Paris by a significant amount. However, it is believed that Vidocq and his ex-convict investigators used tactics that would later imprison them, once again. In 1850, the private investigation industry became known in the United States. Allan Pinkerton, a former Chicago officer, retired and opened his own private investigating agency. His agency, Pinkerton National Detective Agency, became well-known and was recognized for its various successes, including preventing the assassination of President-Elect, Abraham Lincoln. Pinkerton was especially known for his integrity. He based his agency on honor and working alongside law enforcement to have a greater force in solving crimes and putting away criminals. Unlike Vidocq, he did not associate with criminals or accept bribes. Pinkerton was also known for hiring the first female private investigator, which was not a norm in the 1800s. It was not until the 1920s when wealth began to grow in the United States and hiring a private investigator became well-known for the average American citizen. Private investigators were being hired for insurance cases, marital disputes, surveillances, and white-collar crimes. It seems not much has changed. As private investigators, we still work the typical surveillances, divorces and insurance cases. However, it is not the industry that is changing. It is the tactics and tools being used to successfully conduct those cases that are advancing. The internet, technology, and social media are all factors that have changed the investigative industry so much. We, as investigators, must stay up to date on the latest technologies and gadgets that will aid us in solving a case. Sometimes we can get so accustomed to the older methods that we were first taught, we may not realize that nowadays there is a tool out there that may help us complete the work in half the time. For example, writing a report is something that can take up much of our time and it must be done thoroughly so no mistakes are made. There is now a tool that you can dictate your report and it will transcribe it for you. Just like this tool, there are plenty other forms of technologies that can help you move forward successfully and efficiently in the industry. 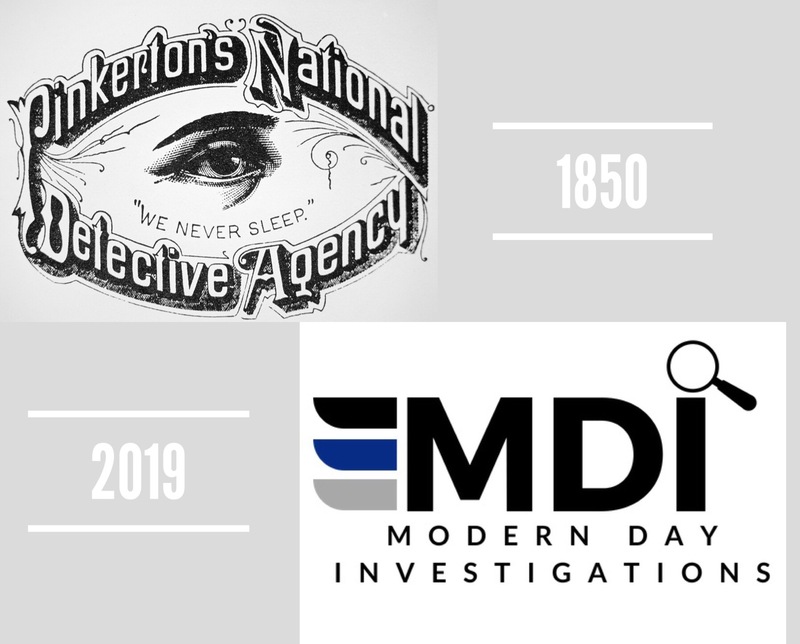 Since the private investigating industry is one that is constantly advancing, we have decided to host our very first conference, Modern Day Investigations. MDI is a three-day conference that will bring investigators from all over the nation to teach them about new advances in the industry and how to better themselves in their business to be more efficient. This conference will give investigators the opportunity to integrate the classic investigative concepts with the most modern-day methods. We have brought together some of most well-known speakers in the industry. They will discuss modern-day safety, security, protection, and interviewing tactics for all investigations. Along with this, our sponsors will be showcasing the latest technology in the industry. Join us this summer as we host MDI in Miami, Florida. It will be a weekend full of learning and fun that will help build your knowledge and grow your business. The conference will be June 27th – June 29th, 2019 at the InterContinental Hotel. Tickets are on sale now. Please visit the MDI tab on our website or call our offices to learn more information and take part in our conference. Collins, Colleen. “National and International Private Investigator Day: History of the Private Eye.” Guns, Gams & Gumshoes, 28 Dec. 2018, writingpis.wordpress.com/2018/07/24/national-and-international-private-investigator-day-history-of-the-private-eye/. Tikkanen, Amy. “Allan Pinkerton.” Encyclopædia Britannica, Encyclopædia Britannica, Inc., 21 Aug. 2018, www.britannica.com/biography/Allan-Pinkerton. Walton, Geri. “The French Sherlock Holmes, Detective Eugène François Vidocq.”Geri Walton, 10 May 2018, www.geriwalton.com/french-sherlock-holmes-eugene-francois-vidocq/.